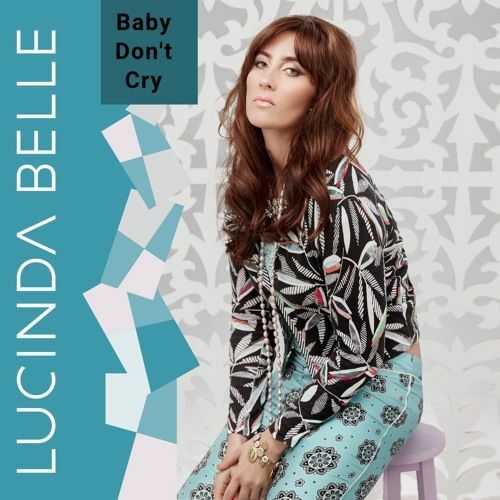 Raised by Gypsies ::: Music Review // Lucinda Belle "Baby Don't Cry"
At first, "Baby Don't Cry" has these dark keys and it feels like we're in this bluesy / lounge singer type of place with the song. It feels sad on some levels, but the words are coming out about not crying and being positive. In some ways, I feel like this can kind of lure people in because if you're sad (or just not happy) and you need to be less sad, then putting on something that is right away pop and upbeat might just annoy you. This helps the listener into the overall vibe of the song slower, which I think helps more people to hear it and be able to relate with it. Once it kicks in it feels like a big production. It sounds a little like "X's and O's", you know that song by Rob Schneider's daughter, but not the same I just don't know if there's a word for that genre or not yet. If you think of this song starting as a lone spotlight on Lucinda Belle then when it kicks in I imagine the stage lights opening up and there is just dancing like "A Chorus Line". It has that big stage show feel to it where it's not just a song but it's a whole experience. For a positive and upbeat song, there are many lines you can pull out as encouragement but one of my favorites is: "There's empty pages in your story". It's funny because I used to be such a fan of notebooks-- I'd buy books of blank paper because I liked how they looked and I'd imagine filling them up with words. I actually had something like 100 of them filled up at one point and they kept going with me, wherever I'd move, but it got to that point where I realized they were just dragging me down. So that idea of having empty pages is so much better than focusing on what has already happened and the chapters you have already written. While I don't listen to the radio, I also am afraid to look up and see if there is a genre that this could fall under because if I look for artists similar to what I think this sounds like they will likely take me down this hole of artists I do not like and I know I'm going to find Meghan Trainor in there somewhere. So listen to this song not to worry about genres or watching people do lots of high kicks like the Rockettes, but listen to it to forge your own path towards happiness. We could all use a little bit more happiness in our lives, perhaps you'll find it here.